I don't think it's enough to save rim. 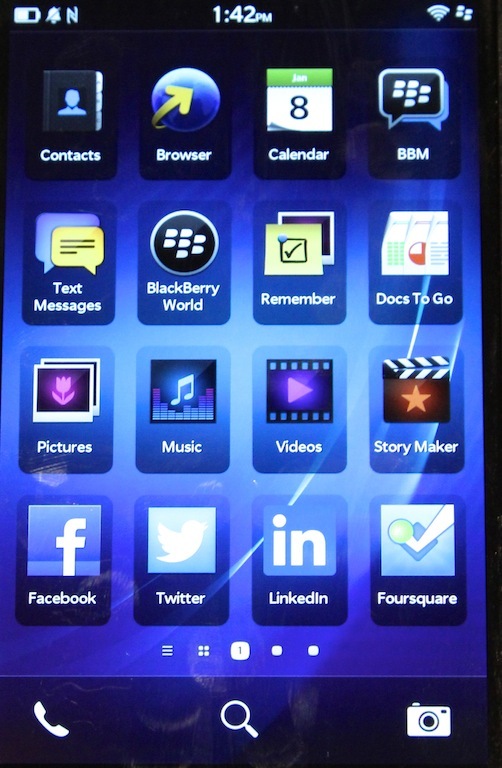 Later this month, RIM will officially pull the cover off its revamped mobile operating system, dubbed BlackBerry 10. Finally, consumers will be able to decide for themselves whether it's worth giving the BlackBerry ecosystem another shot. The Canada-based company has been working hard on the software for about 15 months, even while it was drastically losing market share to companies like Samsung and Apple (who have both practically dominated the smartphone scene). However, if what we saw of BlackBerry 10 is any indication, RIM could have a second wave up its sleeve, or at the very least entice its 80 million-strong customer base to stick with it. This all depends on whether or not users can learn to love its gestures—if they can even learn them at all. Plenty of gadgets use gestures. Apple's MultiTouch TrackPad uses two- and three-finger swipes for navigating back and forth between webpages or switching between Spaces. Microsoft's Surface tablet features the ability to set up a custom gesture for unlocking the device. Even RIM's BlackBerry PlayBook utilized a few gestures of its own, and that's actually where the company has taken its inspiration for gestures in BlackBerry 10.